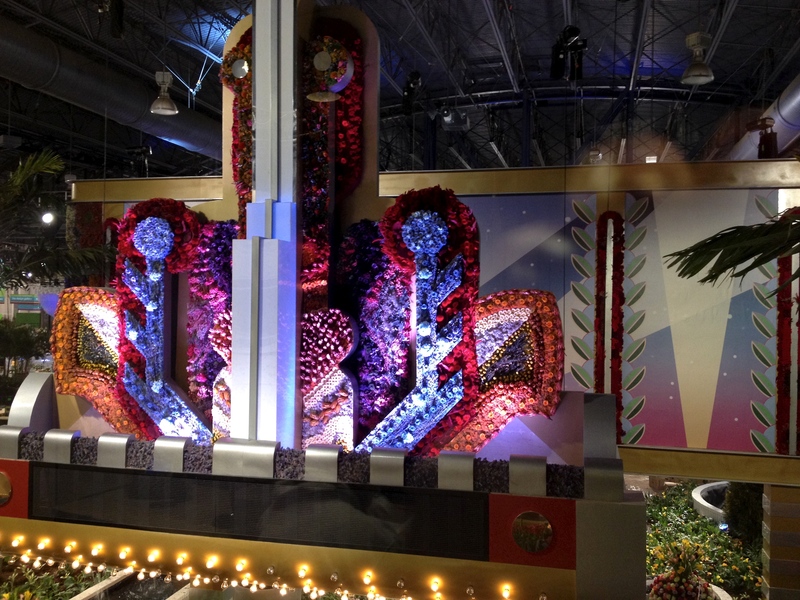 The largest indoor flower show in the world opens tomorrow at the Pennsylvania Convention Center. The annual taste of spring for all of us gardeners who are starved of the color and smell of the earth and flowers is a treat that we look forward to all winter. The Theme this year is ‘Celebrate the Movies’ and each exhibit interprets a movie, many of them Disney movies. The show runs until Sunday March 8th 2015. 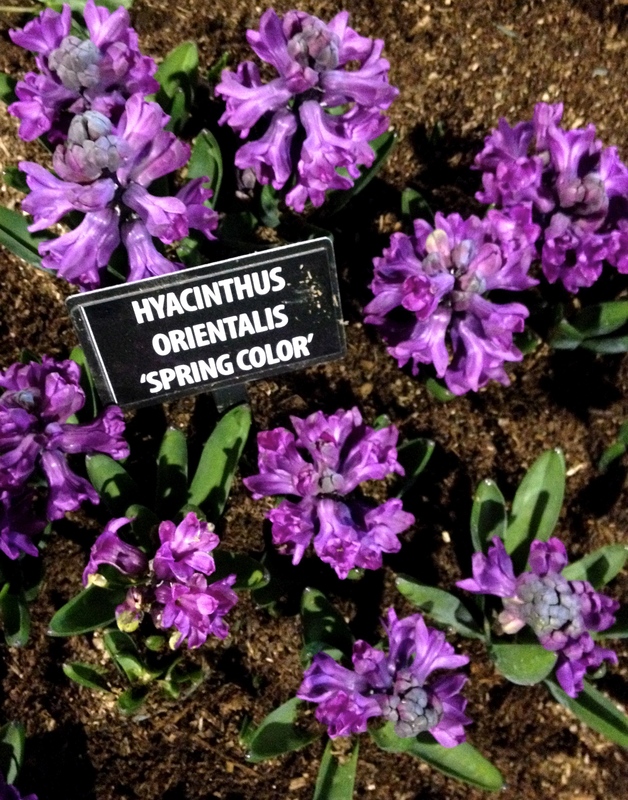 If I could pick one flower that is the poster child of the Philadelphia Flower Show, it would be the hyacinth. For those of us who have been visiting the show for many years we remember when it was held at the old Civic Center. 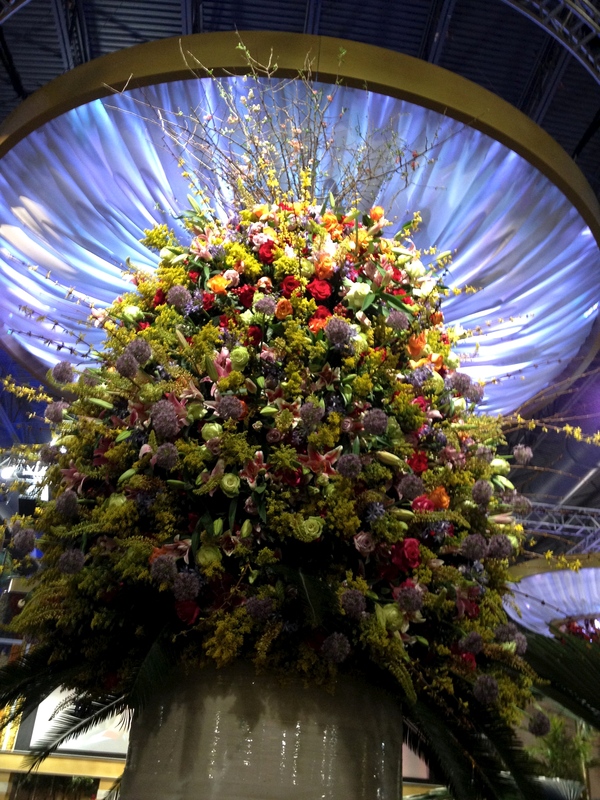 There was an escalator that descended to the show floor and the warm air rising carried with it the fragrance from the hyacinths below. Twenty years later that scent filled memory is a topic of conversation, so strongly do smells link to times and places. 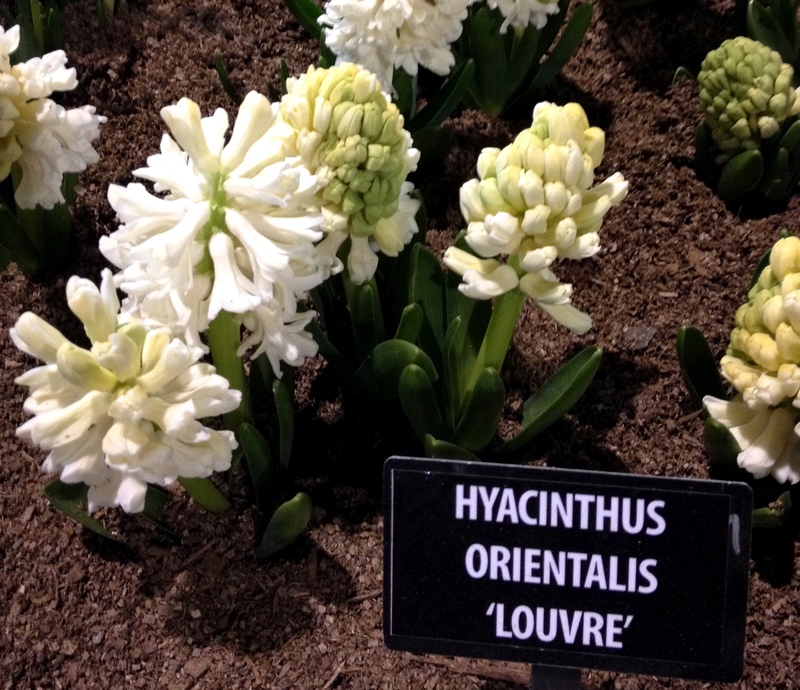 Two new cultivars were in the Jacques Armand display garden; Hyacinthus orientalis ‘Spring Color’ (lovely purple) and Hyacinthus orientalis ‘Louvre’ (crisp white). I had not seen either of these cultivars before. Their exhibit was inspired by the movie ‘Mary Poppins’ and has kites flying above the sea of bulbs as if it were in an English park. 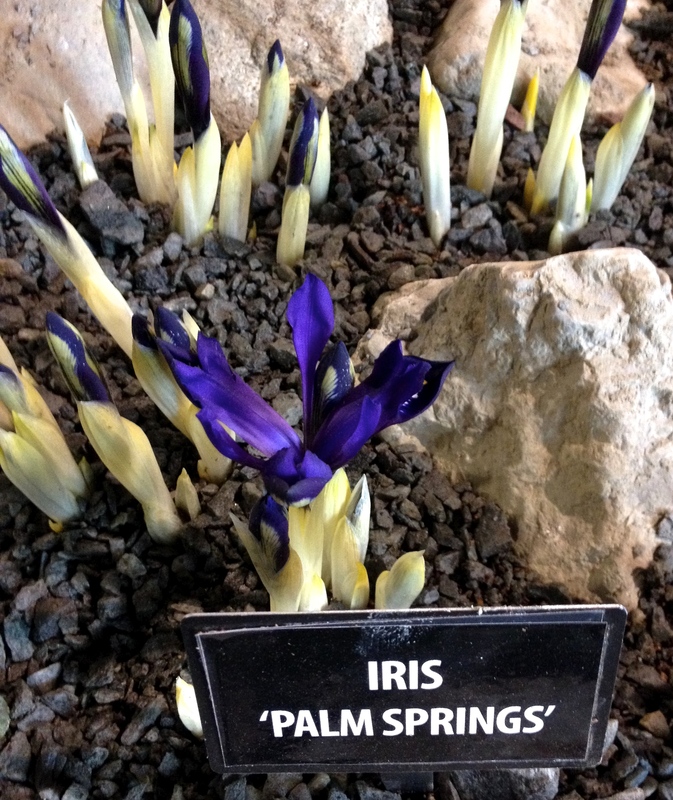 The little early-blooming rock garden iris on the Jacque Armand display are a miniature treat. There are some new varieties this year that are not often seen in American gardens. Iris ‘George is a rich purple color and is an old favorite on a sunny bank in my garden at Northview. Blooming outside in March here in Philadelphia they are reliably perennial and multiply each year. 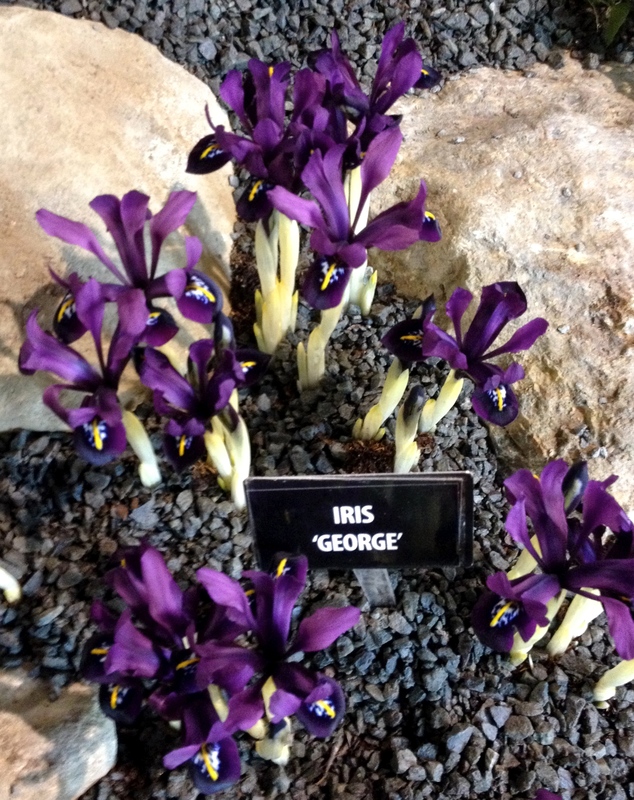 Iris ‘Palm Springs’ is a sport from Iris ‘George’ and has the same stature but is a deep blue color. 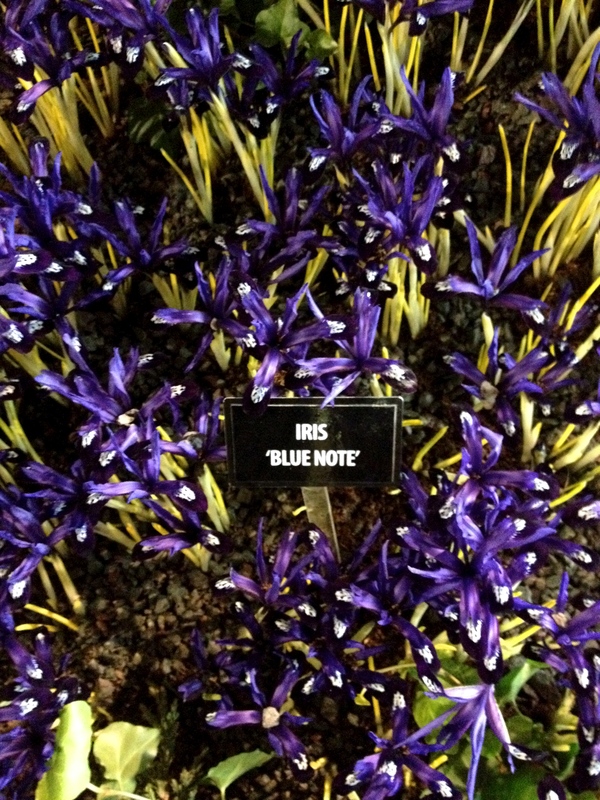 The slender Iris ‘Blue Note’ also caught my eye, beautiful en masse. 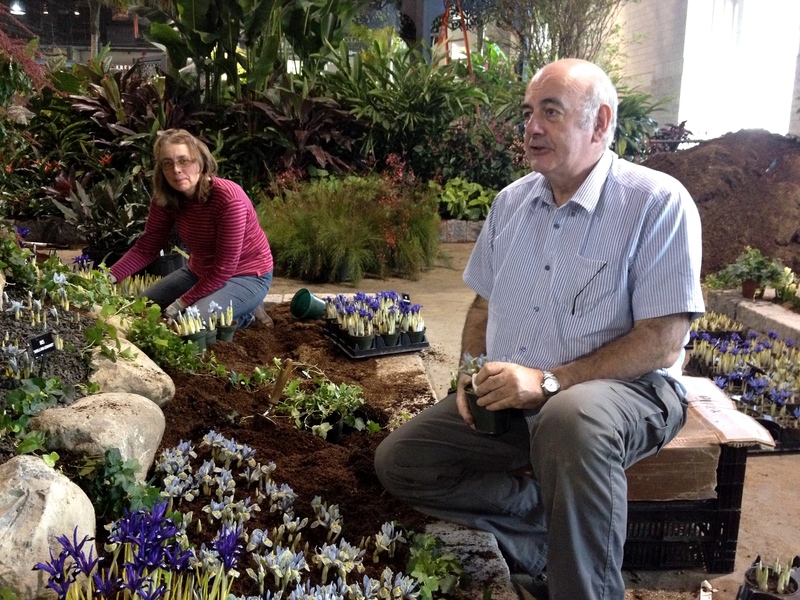 These dwarf Iris reticulata cultivars look great mulched with gravel to prevent soil or mulch from splashing mud onto their delicate flowers.